We offer you a unique opportunity to work your own hours and change the outlook for realtors as your own boss. Become a Proper Measure franchisee and make it happen. You may have seen how real estate marketing in your community has changed, and now you can work with realtors to bring it to the next level. It’s simple! With our full training program and support, you can create a thriving business with a solid clientele of realtors that will come back again and again for your services. One of the hottest franchise opportunities, and making it happen in 3D and virtual reality, Matterport’s cutting-edge technology allows us to redefine how we experience both interior and exterior spaces. The first end-to-end media platform of its kind, we create, modify and help realtors and their clients navigate through life-like digital displays of residential and commercial spaces through colourful floor plans and immersive tours. You can work with a wide range of clients near and far to bring their spaces to life with colourful floor plans and 3D tours. Whether your clients prefer a low-cost alternative to architectural drawings or a fully immersive tour for a vacation property, you’ll have the tools to easily provide it. 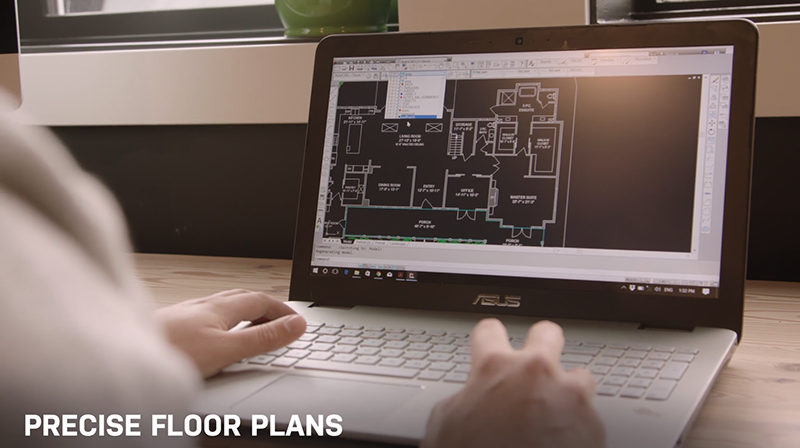 You will have everything you’ll need to create floor plans that set the industry standard: including on-site drafting in AutoCAD, precision measurements and square footage calculations, full colour and landscaping details. This helps buyers and renters to envision themselves in the spaces and will ensure long-term partnerships with realtors in your community. If you think that this is the right fit for you, click the Request Free Information button below and we’ll be in touch!